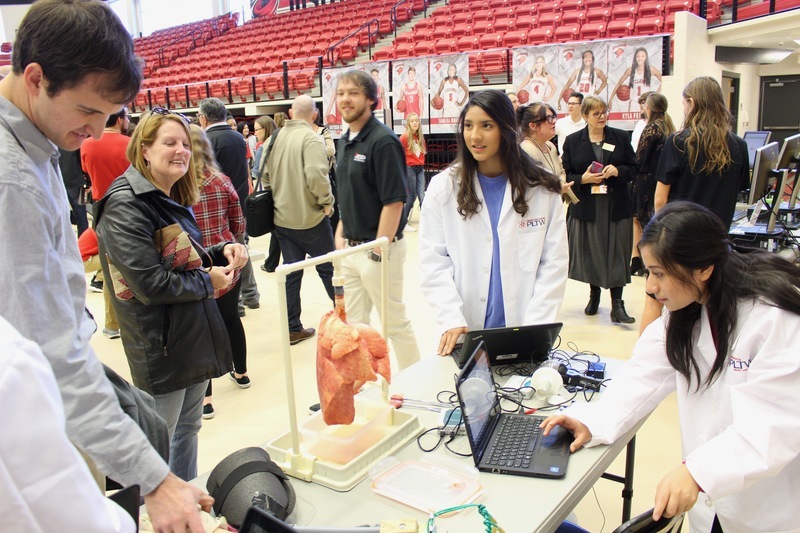 Russellville School District (RSD) held a Project Lead the Way (PLTW) Showcase for Arkansas educators, parents, and the community on Wednesday, January 31, 2018. The PLTW Showcase allowed participants the opportunity to learn more about PLTW classes offered at RSD, see hands-on projects, and experience PLTW classrooms. 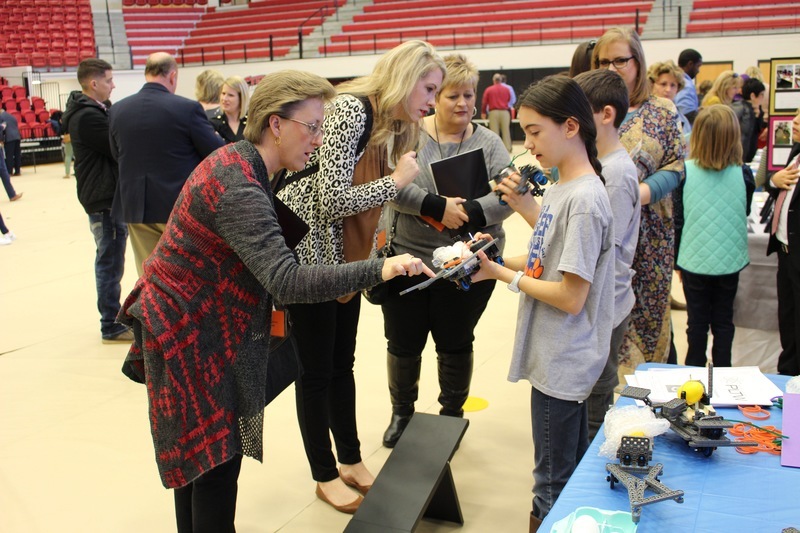 The PLTW Showcase had over 60 attendees including Arkansas Department of Education (ADE) Commissioner Johnny Key, ADE Deputy Commissioner Ivy Pfeffer, and Russellville Mayor Randy Horton. The day began at the Center for the Arts with a presentation by RSD Curriculum Directors and RSD PLTW teachers, where participants of the Showcase learned more about the PLTW programs offered at RSD. After the presentation, participants moved to Cyclone Arena where students in kindergarten-12thgrade demonstrated projects and experiments they had completed in their PLTW classes. The Showcase concluded with afternoon tours of PLTW classrooms at Sequoyah Elementary, Russellville Junior High School, and Russellville High School. 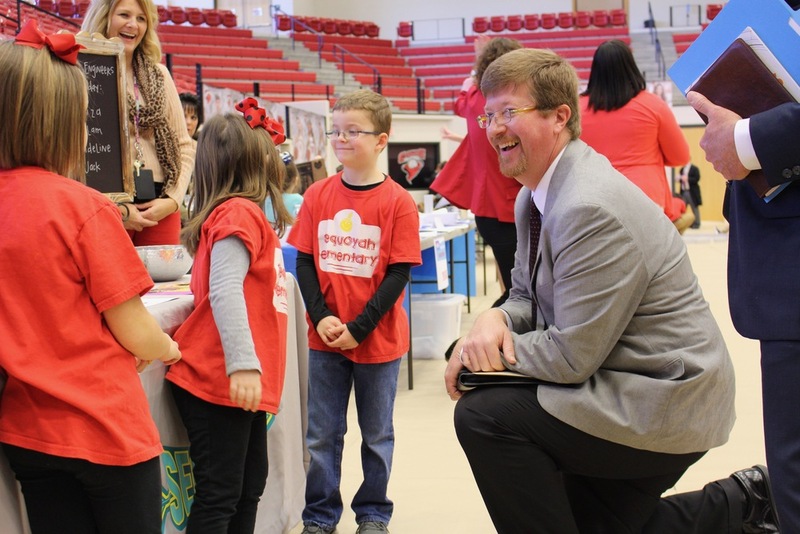 In addition, Brad Beatty, assistant principal at Sequoyah Elementary was named the PLTW Administrator of the Year for Arkansas at the PLTW State Conference that was held at Arkansas Tech University January 29-30.